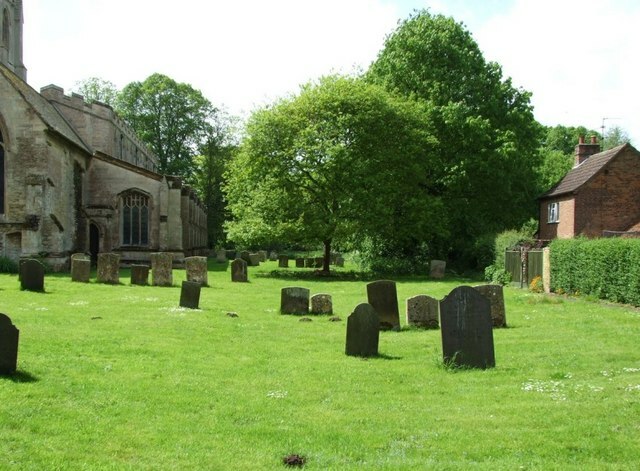 The tree in the centre of the picture is planted on the North side of the Churchyard at Donington. It stands as a memorial to airborne soldiers that were billeted in Donington and the surrounding area during the latter stages of world war two. The plan to take bridges intact, to speed the allied advance through Holland was code named Operation Market Garden. The airborne soldiers that survived the operation, hold a reunion in Donington each year, a church service is also held annually. The gift of the oak tree came from the people of Arnhem as thanks to the gallant men that took part, it is marked with a plague to identify it for all who visit. © Copyright Donnylad and licensed for reuse under this Creative Commons Licence.